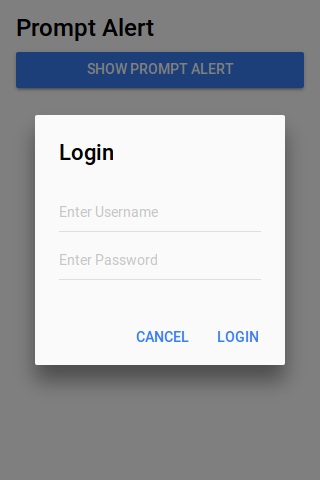 Ionic Popup- Popups are basically used to draw user’s attention and get some information from the user or provide some information. Popups Appear on the top of app’s content. You can manually dismiss the popup to interact the app again. Ionic Provides various popup alerts that can be used easily in any application. There are – Basic Alerts, Prompt Alerts, Confirmation Alerts, Radio Alerts and Checkbox Alerts available in Ionic. 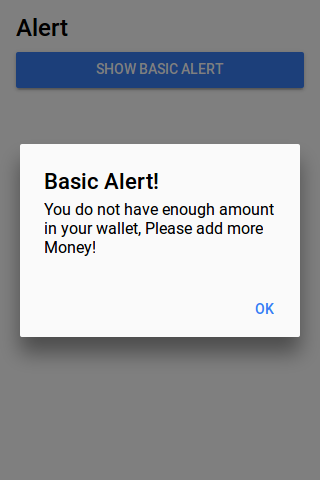 Here in this tutorial, we are going to explain how to create ionic popup alert step by step with example and demo.You can also use our online editor to edit and run the code online. Note : These popups are supported in Angular Version > 2.x. to get some input from user for example – Prompt box to enter wi-fi username/password. AlertController is required to create alerts so don’t forget to import this controller. 1. HTML Part – It contains the view part of basic alert. 2. Script Part – This contains typescript code for the basic Alert. It contains script resources to create Alert Box, showAlert() function is defined in this file which is triggered on Button click to open the Alert Box. Import AlertsController, add in constructor and call create() method with parameters. So we can see clearly only following things are required to create alerts. 2. calling it in constructor. 2. Script Part – It contains typescript code for the Confirmation Alerts. This basically used to get user input for example- Enter Wifi password. 2. Script Part – It contains typescript code for the Prompt Alerts. This shows radio options to user and user can select only one option from list. 2. Script Part – It contains typescript code for the Radio Alerts. It is used to provide multiple options and user can select more than one option from list. 2. Script Part – It contains typescript code for the Checkbox Alerts. Display an option with title, inputs and buttons. options – Options to configure the alert box. title string This is used to add the title for alert box. subTitle string Adds subtitle for alert box. cssClass string Adds custom css classes, Add classes separated by space. inputs Array An array of inputs, See input options below. buttons Array An array of buttons. See options below. enableBackdropDismiss Boolean Disable backdrop tap dismiss, set false, default value for this option is true. type string This is used to define the input type such as – text, email, number, etc. name string The name for the input box. placeholder string This is used to add the placeholder for input box. value string Adds default value of input. label string Adds label of input. checked boolean Whether or not the input is checked. 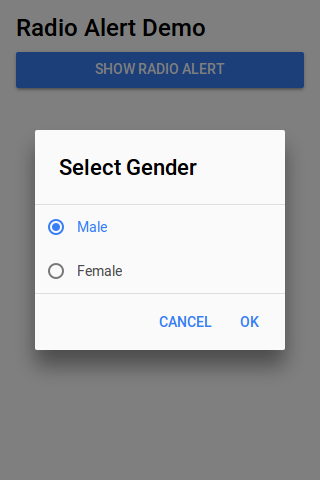 id string Add input box id. text string Adds button text. handler any Emitted when the button is pressed. cssClass string Adds custom css class to button. role string The buttons role, null or cancel. 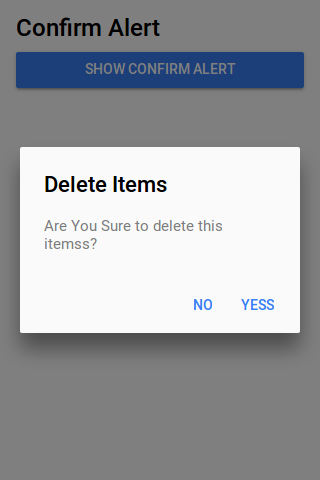 Ionic popup modal, template, popup close, alert, button style, window etc. How we can set custom template for popups?? Great Job !! Thanks for beautiful Article.